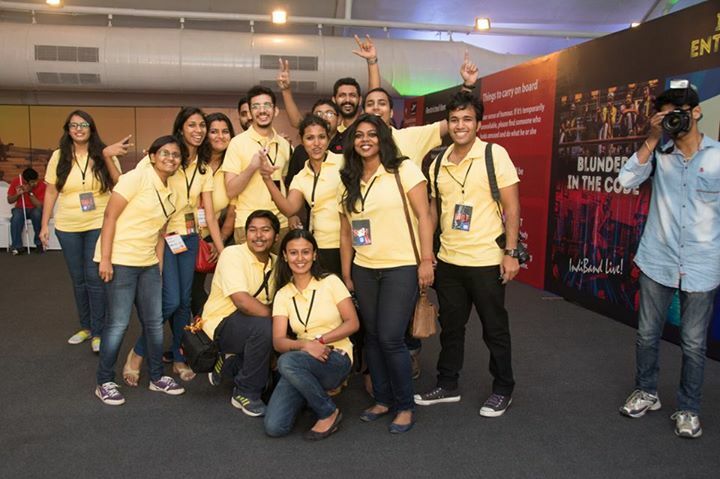 Top 7 highlights from BNLF 2015 | IndiBlogger, Mumbai. One of IndiBloggers dream project, BNLF (Blog Now Live Forever), finally went LIVE last week and it was so exciting that I could be a part of it! 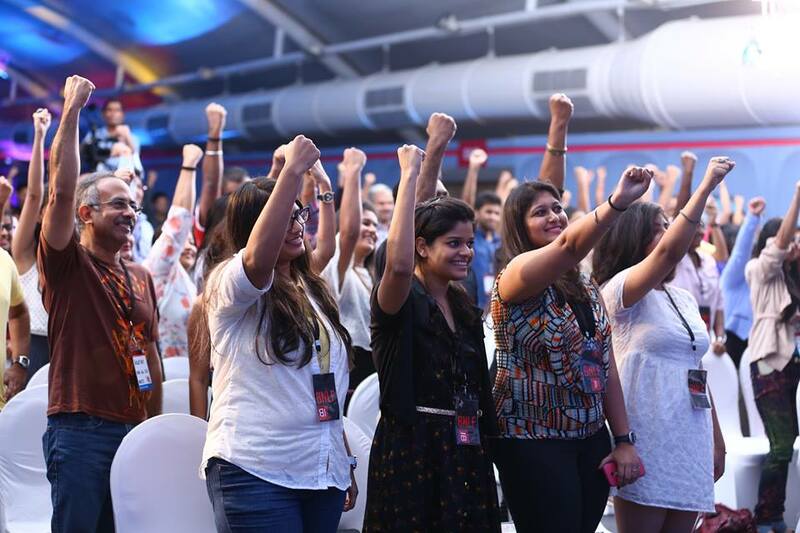 It meant a bubbling flock of around 600 bloggers coming together to share their insights, views and opinions in a single gathering over the course of two entire days. Attending the BNLF also felt like a homecoming of sorts because of my 5 year old association with this awesome, ever-growing, ever-supportive community and coming face to face with the same people that constantly motivate and inspire you in the online world made for a brilliantly gratifying occasion offline. 1. THE INDIHEROES: BOTH, SUNG AND THE UNSUNG. The signature stamp of IndiBlogger was evident right from the word go! Music, warmth and humour: all three had come out in full force. Hahaha, so typical … IndiTeam! The hours and days (or was it years?!) of hard work, excitement and sweat that had been injected in the project was clearly palpable by the tastefully done décor, the out-of-the-box ambiance and the high pitched energy that I caught floating all around The Lalit – the venue for the first ever and the most disruptive Blogging Conference ever, BNLF. The ‘Blunder in the Code’ musical start to the morning was the best foreword that the extremely gifted IndiBand could have come up with. Though I couldn’t make much sense of the lyrics (not my kind of music, my bad), the entertainingly high-pitched melody was enough to get me into my elements and bind the audience together in a beautiful string of coherence that lasted all throughout the sessions. IndiCrew were IndiBlogger members, basically bloggers doubling up as volunteers that had signed up for the event and I got my first taste of the IndiCrew’s hospitality soon after my registrations. One of the most defining moments for me, personally, was when an IndiCrew member greeted me with such élan and confidence, she could easily make for a core member of the IndiTeam itself. Welcome *staring long and hard at the badge dangling from my neck that had my credentials imprinted* umm… Arti. *Exhibiting an excited demeanour, smiling wide and full* Straight and then right. Please make yourself comfortable, we hope that you have a great time! See you around! Wow. If her unfaltering welcome didn’t catch me by surprise. Here, was I, a nervous social wreck, doing nothing but constantly worrying about things that were never actually going to happen. And here was she. Wasting no time in putting me at ease. Wasn’t she a blogger as well? I heard myself talking. I wondered if someone had taken the time to welcome her just like the way she had welcomed me in. Hey, thanks for such a warm welcome! *Trying my best to take a cue from her mannerisms* and, welcome to you too and I hope you have a great time as well! She was Pallavi from thoushaltcook.wordpress.com. Once seated, I got more and more taste of the fabulous IndiCrew as the day went along. These were the people who were not only serving selflessly but were also attending to all of us with a lot of care. It was a real joy to feel pampered by strangers many of whom you were meeting for the first time, and perhaps also the last. IndiCrew – take a bow - really a job well done and done with a lot of affection and delight. 2. STRETCHING MY LIMITS, SAYING MY HELLOS. It wasn't easy. 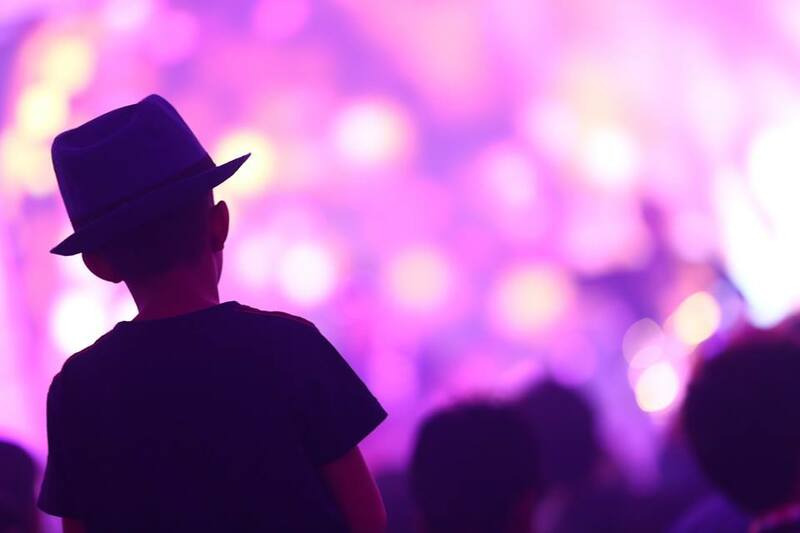 For someone who is rather shy and who’d rather run away miles from attending any kind of a social event, to be put in the middle of a humongous crowd, mostly strangers or people with whom I have only had interactions online, was nothing short of a nightmare. To walk up to people and say hello and get talking is not what I’d expect of my skin. I am not that daring either, approaching people and striking conversations on a whim, and still the very essence of these meets is networking – so that didn’t make things any easier. I introduced myself and made a sincere effort, to well, just be in the moment. This, of course, was only possible because of all the lovely people I met at BNLF … friends old and young, friends via IndiVine and via the IndiForum, friends from blogs, blogchatter and twitter … if you were one of them I interacted with – well, I just want to thank you for being so kind and helping me relax and open up. Social meet-ups of any kind sets my mind spinning and can be a bit overwhelming at the beginning. But with all your generous camaraderie, it felt so good to step out of my quiet comfort zone and I can’t wait to meet all of you and more in the future. 3. WHERE EVERY NOTE IS A KEYNOTE. IndiBlogger was so right when it said that every note was going to be a keynote here. BNLF wasn’t just about the speakers. It was SO MUCH about the bloggers themselves. That made the breakfast sessions and tea break sessions so much more fun and interesting. Getting to talk to bloggers from all over the world was nothing short of embarking on an exciting learning and fun adventure curve. The discussions ranged from everything and anything under the sun that came in the range of blogging - how many posts we wrote in a day, what are the marketing strategies we followed, what is so inspiring about what we blog, why I love your blog, why don’t you put your picture, blogger vs wordpress and so on and so forth. Whilst talking with each other, what stood out for me was that no blogger came across as a senior or a junior, from this state or that state – our passion for what we do glued us together as people belonging to one single family. Everything was shared with an open heart and listened to with a curious mind - Learnings, motivation, inspiration and encouragement were available in an immense proportion. And the best part was that I really dint have to go around looking for it, it was present just about, everywhere! 4. DO NOT GO TO THE GRAVE WITH YOUR STORY UNSUNG. Homeless means no where to go, no ideas to think. Dont let rejection affect you. Push your limits. Work on your skill sets. I may not be famous but I have the satisfaction that many take solace from my writing. 5. THE IMPORTANCE OF ASKING QUESTIONS. Just a couple of minutes after I took my seat besides my friend Pooja on the second day, Christoph Trappe threw a question at the authentic story-telling interactive workshop that was already in progress. What is your blog about? What is the need? This was just the beginning. Right through his session, he raised the importance of constantly posing questions and answering them for yourself. The what, why and how was not just an important aesthetic that we needed to check but a basic need to measure our blog’s growth barometer. So, when he asked us, what are you giving to the readers and what is a story that is worth sharing? My pencil couldn’t stop racing. To ask questions to yourself is to go deeper, to seek the intangible and look for connections. Participating in the exercises were worth it. All the answers that I scribbled down formed the base of the reason of why I was here and what I was doing in this blogging conference. 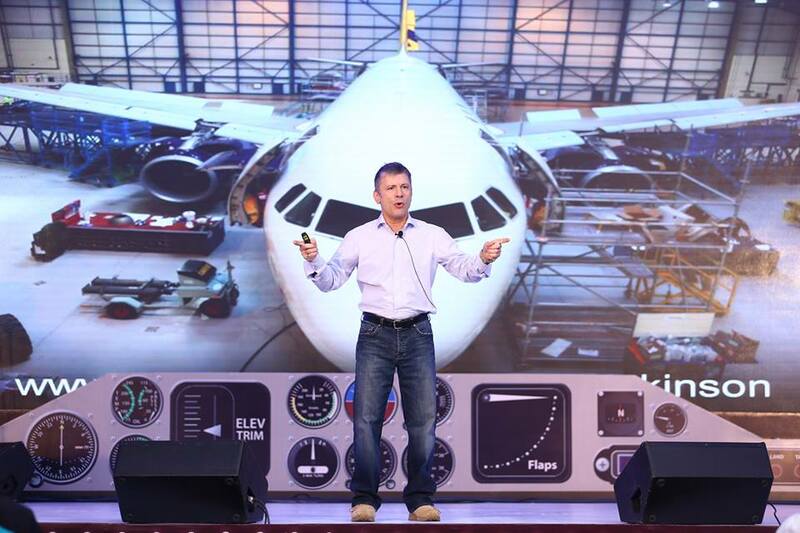 Even though I had missed out on the initial part, the interactive session by Christoppe Trappe on authentic story telling on the second day stood out for me because of his realistic self-reliable approach in which he emphasized his points. 6. GETTING A HEADS-UP ON SOCIAL MEDIA. 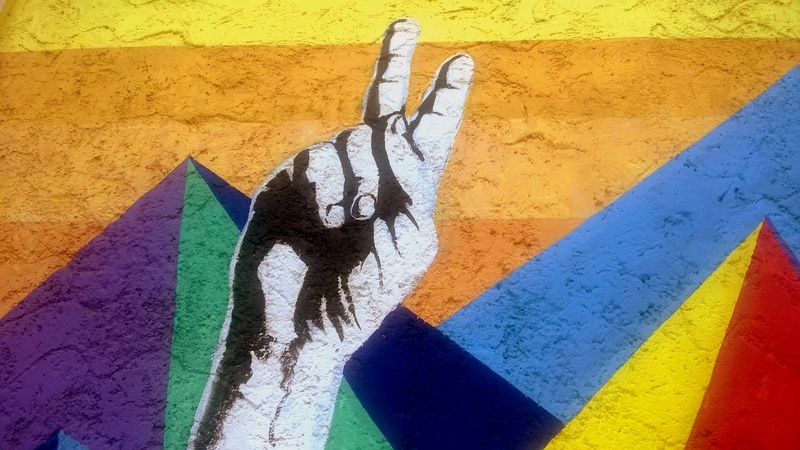 If you want your content to reach out to the masses, you have to use the social media. While this is a mere fact, what is sad is that social media is something that I know little about, so I was keen on attending this session and taking some tips for myself. Jeff Bullas offered great social media tips, especially on twitter marketing that have worked for him in his rising to the top. I was reminded to write a 20 word mission statement assigned to my blog and read it over. He also encouraged everyone to build their email lists, to test the headlines that you write and to check Tweepi (paid) and Social oomph, which have been immensely helpful to grow his prodigious twitter base. I am looking forward to learn more about them soon. 7. THE BNLF POSTSCRIPT: BLOG NOW, LIVE FOREVER. 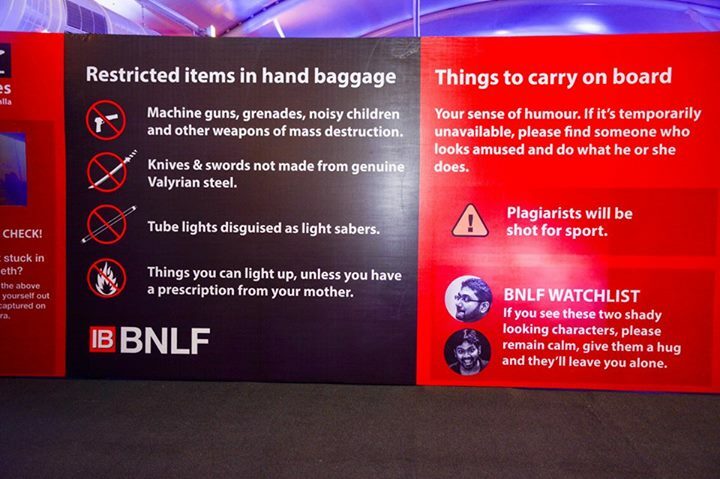 BNLF was a conference but not just any blogging conference. 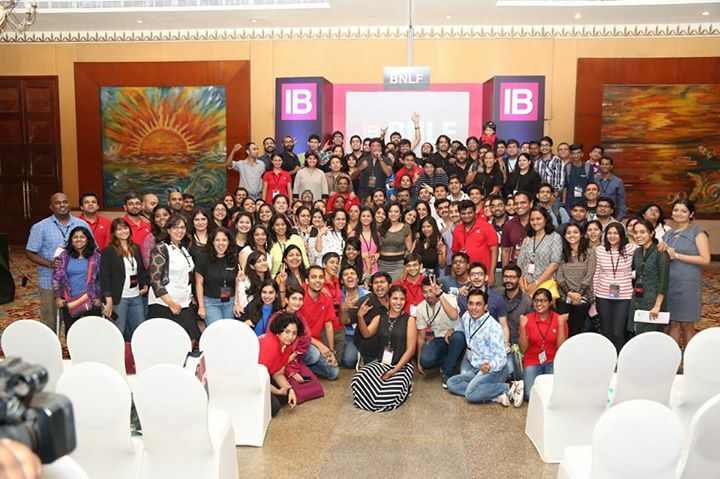 BNLF was a conference where everyone – bloggers, speakers and the IndiTeam alike – united over the same theme song: We all who blog now, are honoured to live not one life … but forever. And while we were at that, WE beamed with childlike pride and innocent joys over etching our unique voices at a place, thanks to the efforts of a wonderful community, where it would never be lost, ever. It was more of a celebration. A celebration to what we are, what we write and what we passionately live for. Of us and our voices and others and others voices as well. Initially, I wasn't even going to write a post on BNLF thinking that there would be many others floating around and I dint had to put one in the mix. But the sheer joy that BNLF turned out to be just refused to be contained within my intrinsically appreciated memoirs. Even if BNLF might not have been 'the perfect' event, it definitely was THE BEST that possibly could have been. Just like our blogs should be as Jeff Bullas was quoted saying on the first day of his session. Also, just like life. And that’s the reason why I got this post together, the BNLF I have described in this post is how my heart will always remember BNLF as… as a bundle of warm moments and memories that she gifted me with, wrapped in a ribbon of love and laughter. I'm incredibly happy and grateful to all the speakers and bloggers for their inspiration and to IndiBlogger for providing the platform for making this possible. * All pictures except my paper-pencil and the art picture are sourced from IndiBlogger. Superb post Arti. If every note at BNLF was a keynote, every line in this post is shareable. Indeed, apart from the amazing speeches, it was amazing to see bloggers mingle with each other without any airs. And thank you for saying "hello", otherwise I would have rued most was not meeting you there. I feel so bad that I missed it. Anyways, thanks for the wonderful, detailed post, Arti, especially thanks for sharing the quotes of the speakers of BNLF. Hi Arti , Loved meeting u at #BNLF. It was surprising to see such pretty, delicate girl like u as the Creator of " My Yatra Diary " . I was expecting to meet a BIG, Overpowering person. The 2nd para "Stretching My limits, saying My hellos" is so much ME. This post is truly 'Direct Dil se' . Arti, Thanks for sharing BNLF experience. Is this an annual event? Is this travel related or sharing experiences thru Blog? Happy Diwali To all visitors of MyYatra Diary. 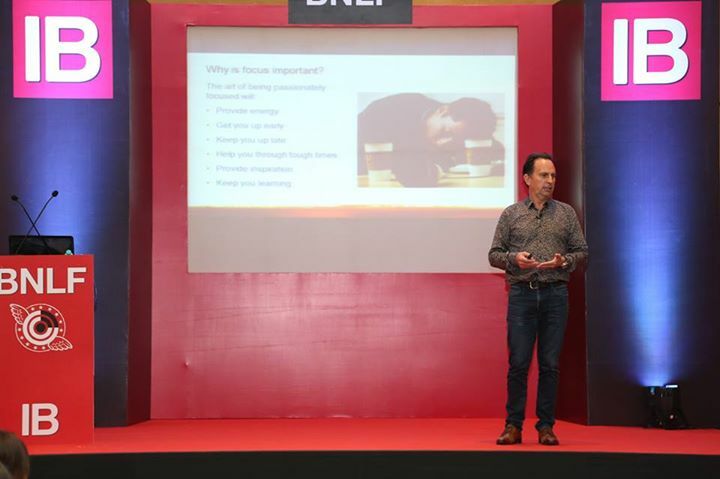 Arti, Nice to read your post on BNLF 2015, Thanks a lot for sharing. Hi Arti, Loved meeting you at the #BNLF. After reading and voting for so many of your posts, I was very eager to meet you in person. And you know what , I am the CARBON ( Jet Black Dark ) copy of yours, when it comes to social interaction. I wanted to compliment you much more warmly about "My Yatra Diary" but am such a awkward-person. Hope you understand me. See u soon. 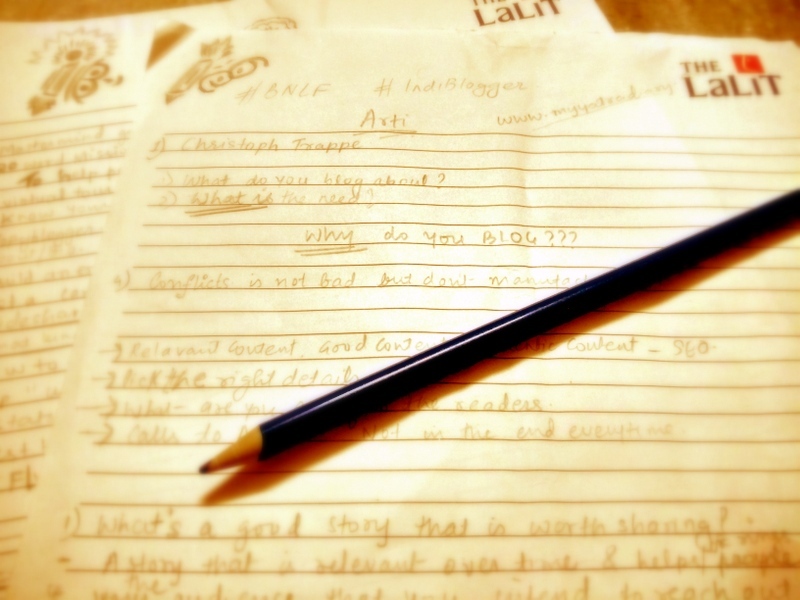 Oh such a wonderful post that records not only the fun but also the learning.Thank you Arthi! God bless you! What an Event...i sure missed the excitement by not being in India. Good to see you pushed your own limits...that must have been exciting too! Sweetie, I'm glad you met so many amazing people!! Happy for you!! Missed the chance to be a part of this cool event & to meet you & so many wonderful Bloggers.